Workforce Development - Where are the Technonicians - Almon Inc.
“Ten years from now we won’t be producing technicians. 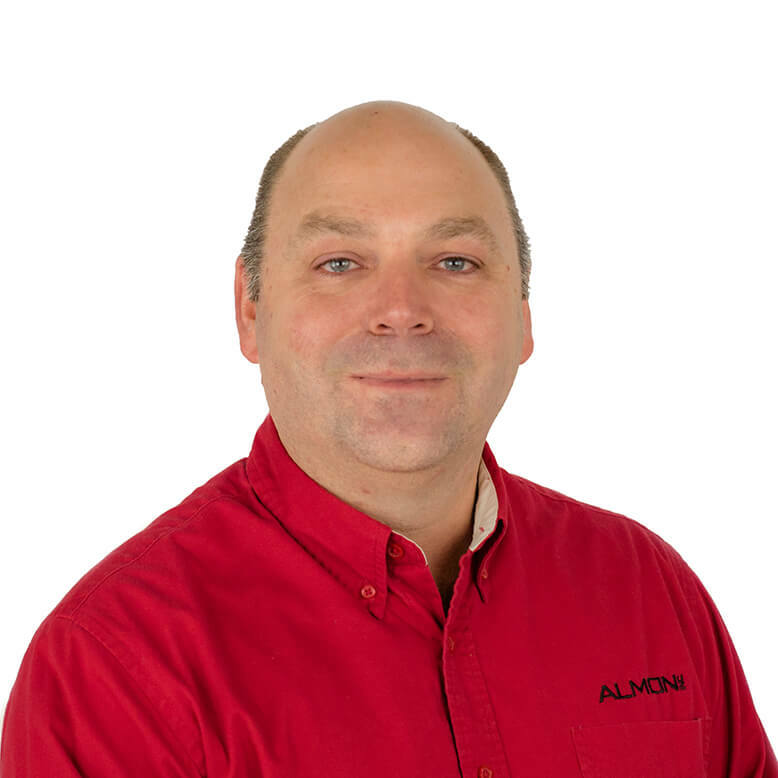 We’ll be producing technonicians.” That’s according to Steve Meyer, Director of Sales and Marketing for Almon Inc. I couldn’t agree with him more; at least that’s my hope and where I believe education needs to realign portions of their curriculum. 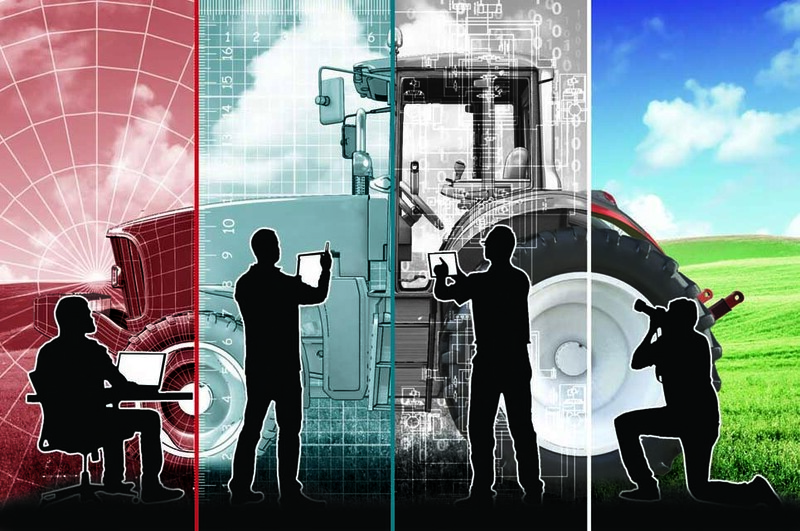 For the past 38 years Almon has been developing technical content for equipment manufacturers — service, repair, and operator manuals, illustrations, technical training, videos, and animation — all of which support the technology for equipment used in construction, agriculture, power generation, outdoor power, and many other market segments. We have seen the progression and evolution from purely mechanical systems with belts, gears, and levers to computer-controlled autonomous equipment. Additionally, we have seen the skills necessary to maintain that equipment evolve as well. What used to be considered “wrench-turner” jobs now requires at least a laptop. 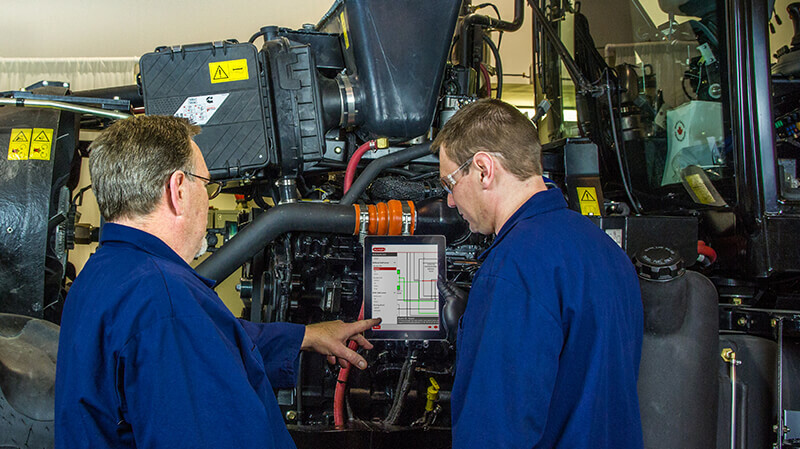 Before removing and replacing a part, today’s technician will be pulling diagnostic trouble codes (DTCs); the “fix” may very well be a software update. Much of the equipment that you see on construction sites and modern farms – and perhaps even in your own backyard – has more sensors and computer power than NASA used on the first space shuttle! 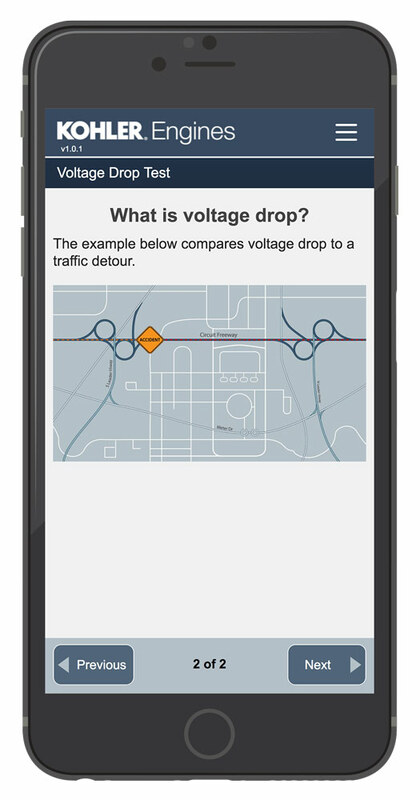 And then consider what you are reading and hearing about cars — lane drift detection, auto-parking, even driverless cars! What has not equally evolved is the development of a skilled workforce to maintain and repair this equipment. This has created a critical situation for equipment manufacturers, dealerships, and others involved with these industries. According to AEM (the Association of Equipment Manufacturers), the equipment manufacturing industry supported almost 1.3 million jobs in the United States in 2016, added $159 billion to the US gross domestic product (GDP), and generated about $87 billion in labor income amounting to about $78,000 in wages per equipment manufacturing industry job. We’re going to need people to keep this machine running! During a recent visit to a state technical college, I saw that air-cooled engine failure analysis is still being taught using failed engine components. Today’s field service technicians do not disassemble engines down to the crankshaft and pistons to determine what went wrong; they evaluate the situation, pull trouble codes, troubleshoot, and then apply the appropriate corrective action. That action may or may not include physically replacing a part. 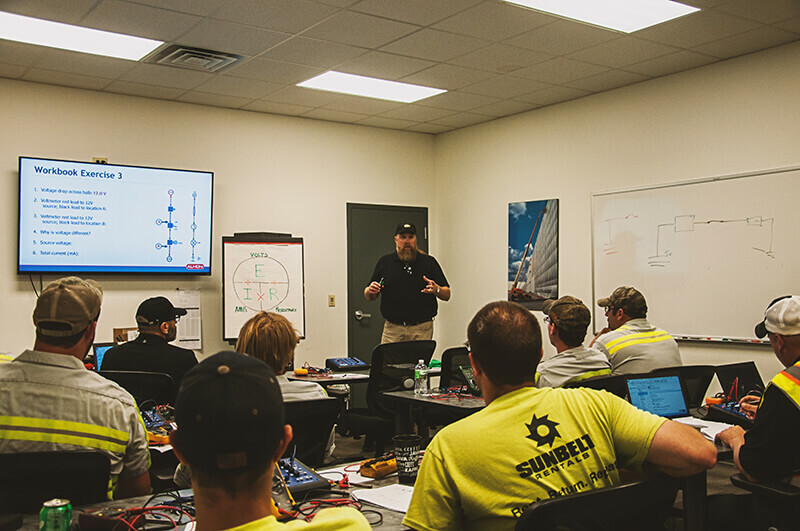 Technicians utilize Almon’s interactive schematics to assist in training and troubleshooting. 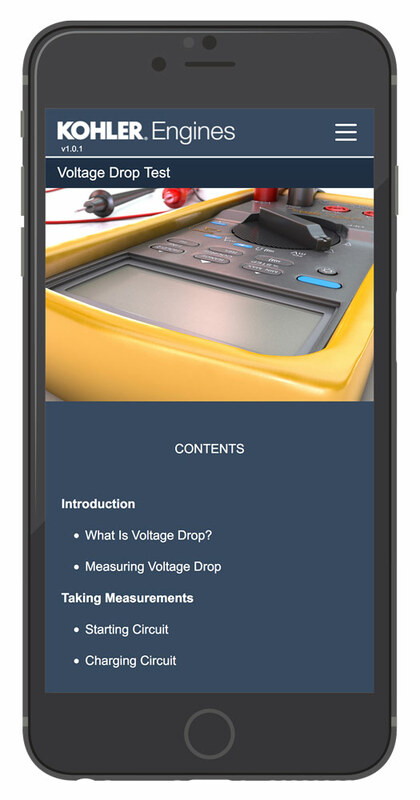 Today’s service technician still needs to have the knowledge of mechanical, electrical, and hydraulic systems, but in addition to that they need to understand the new control systems. 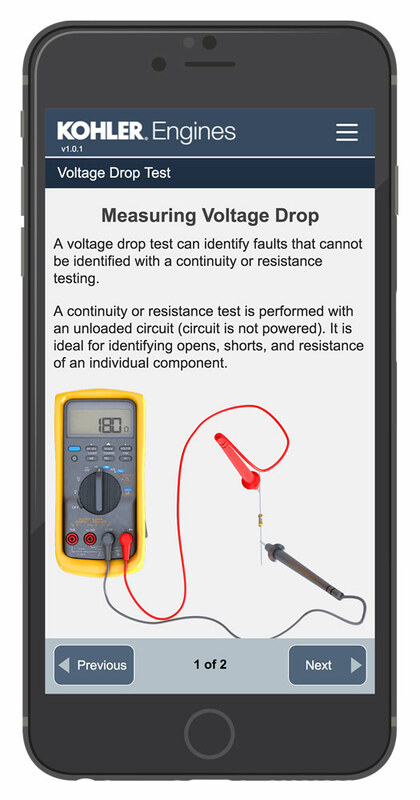 Kohler Engines Voltage Drop App, developed by Almon, for training and performance support. They will be making adjustments on touchscreen displays to access troubleshooting menus. They will be setting parameters for precision guidance systems. They will be interacting with computerized and Cloud-based diagnostic systems. With the expansion of intelligent machines, telematics, and the Internet of Things (IoT), they will likely be using some version of goggles or glasses which incorporate augmented reality (AR) technology. Today’s academic environment has made attempts to include high-tech pathways. Programs which use STEM (science, technology, engineering, mathematics) classes, Project Lead the Way, and others attempt to expose students to real-world applications, typically those requiring four-year degrees. Other programs, such as Youth Apprenticeships, typically promote health care and manufacturing trades. What is missing is the exposure and promotion of education and training for technical careers in areas of service technicians. Our instructors travel the country to provide electrical diagnostic training to service technicians. Although our business is growing because of this issue, it behooves our country to make greater strides to develop tomorrow’s field service technician. Organizations and committees such as AEM’s Ag Workforce Development Committee and SKILLSUSA are working hard to make the connections, but parents and school counselors need to realize the great careers that field service has to offer.